We absolutely loved this recent post by Inc. called “Quit Using These 10 Words to Describe Yourself on LinkedIn.” Why should you avoid these words? Because everyone else uses them! If you want to stand out in a sea of job seekers, these overused buzzwords are doing nothing but blending you into the crowd. Read the rest of the list over at Inc.
Spring is right around the corner, which means graduation is 0h-so-close. For upcoming graduates, this is the most exciting part of their lives. There’s just one thing missing — a job offer. Luckily, we’ve gathered a few top tips will help graduates stand out during the application process. Step 1: Start Applying Now. Don’t wait until you have a degree in hand. Get that resume out there and you’ll be a few steps ahead of the bunch. It will be easier to make a big first impression when there is less competition. Every cover letter and resume should be tailored to every position. Scour the job description for important key words and sprinkle them throughout all of your correspondence with this company. Don’t leave anything up to the imagination — tell them that you’re the perfect fit! 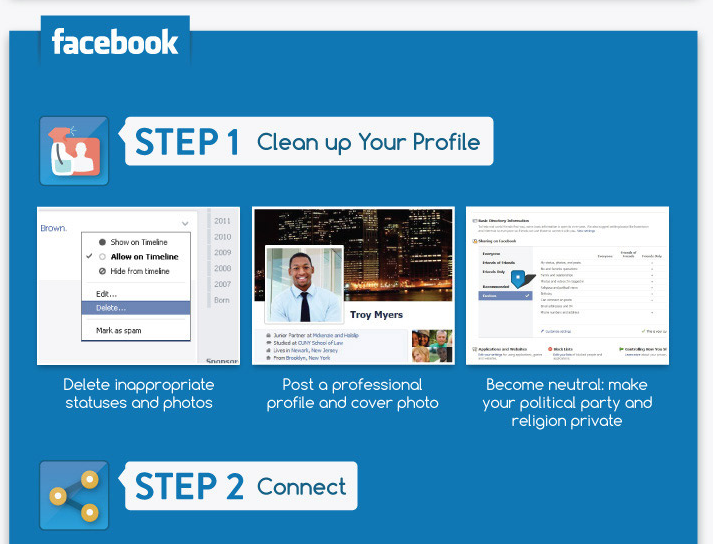 Step 3: Keep it Clean Online. 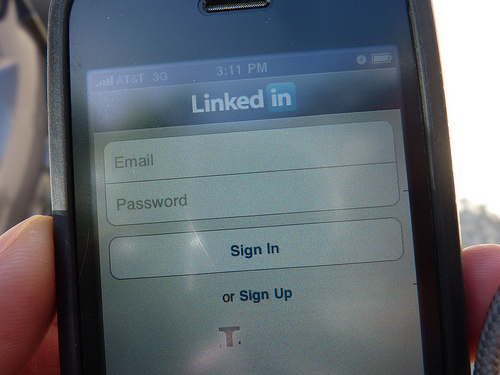 Your LinkedIn profile is probably already in tip-top shape so now it’s time to move onto your other presences. Lock up your Facebook profile, delete any inappropriate tweets, and start painting the picture of perfection moving forward. Even if you haven’t landed that elusive interview yet, start practicing common interview questions. 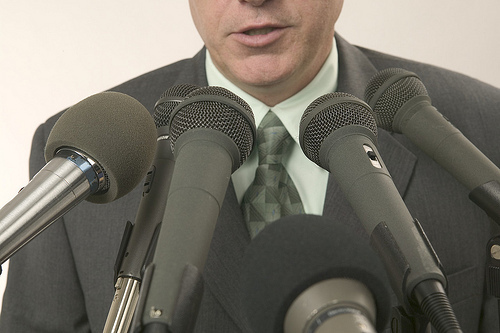 Break down your elevator pitch. Get yourself a well-fitting suit. Then, when the calls do start rolling in, you’ll be calm, collected, and cool. Looking for more advice? 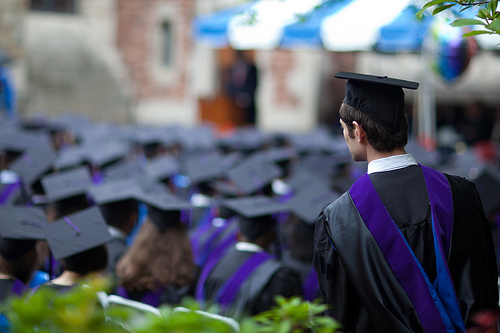 Read our resume tips for recent grads. Image via Jenn Schott Knudsen/Flickr. 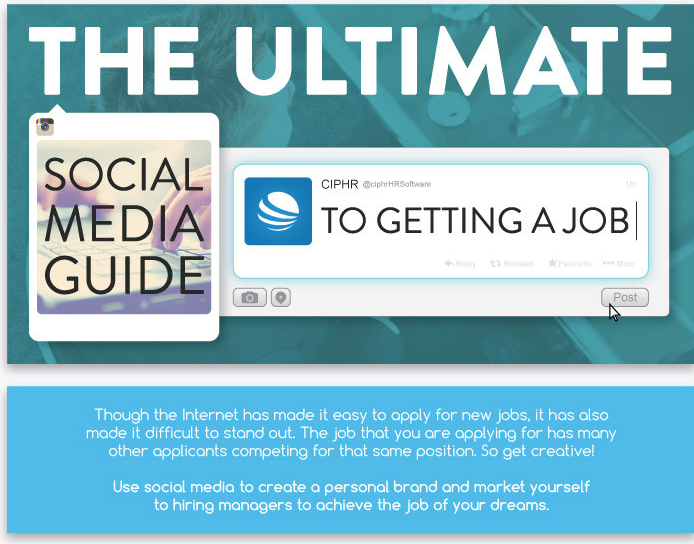 We’re a sucker for infographics, especially this one recently shared by Entrepreneur magazine on The Ultimate Social Media Guide to Getting a Job. It addresses something that affects every job seeker today: “Though the Internet has made it easy to apply for new jobs, it has also made it difficult to stand out.” So how will you stand out? 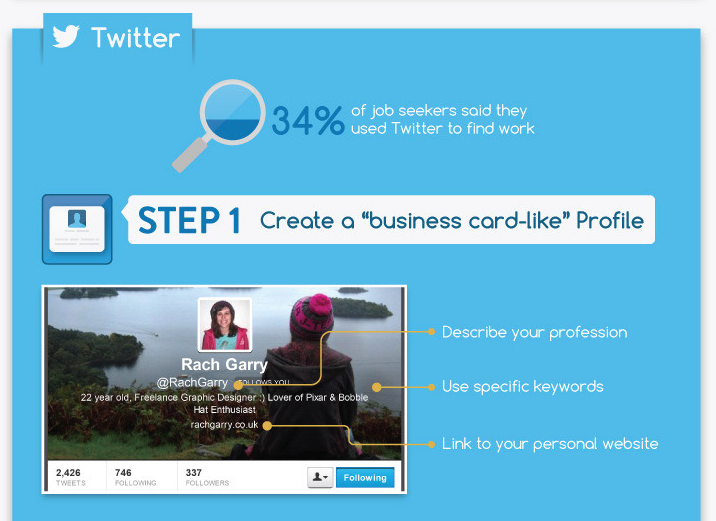 Click the link above to see the infographic in full and learn more about how you can get noticed online. The resume is essentially a one-page story of your life — at least your business life. But what if we looked at it differently? 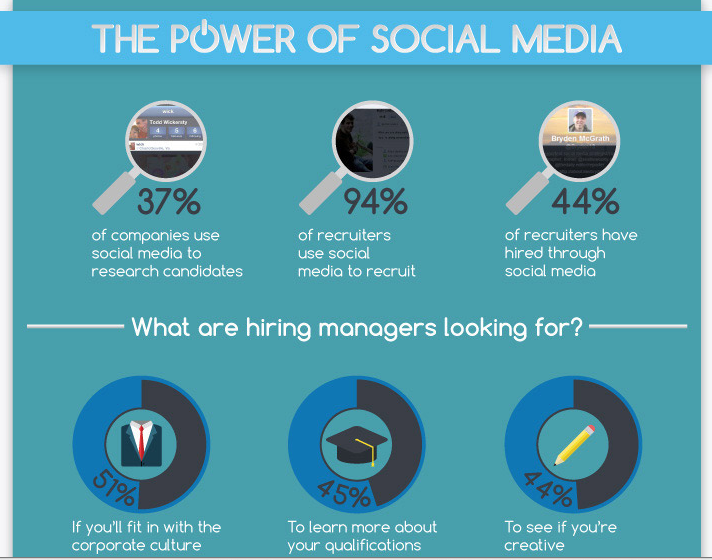 Between LinkedIn and other social networks like Facebook and Twitter, it’s already clear that the resume is expanding and jumping off the piece of paper. We’re “friending” our coworkers and sometimes working from home. Work and life are merging. So what will become of the resume? One company has a revolutionary idea. 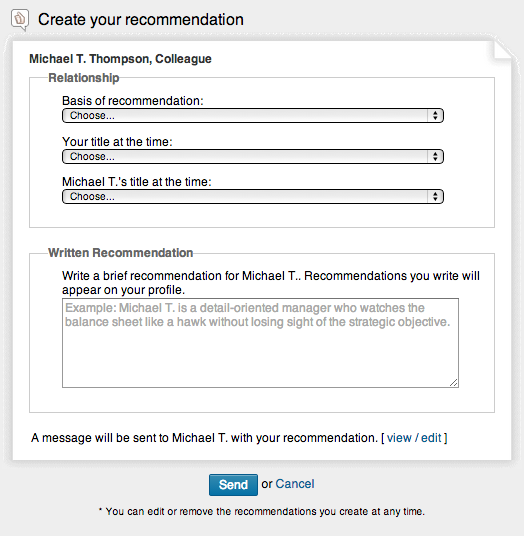 It’s called 1-Page and it’s a job proposal tool. They believe “the resume is dead,” and a one-page job proposal is a more effective way to land a new position — perhaps a position that you created yourself. The concept is actually based off a New York Times bestselling book of the same name. 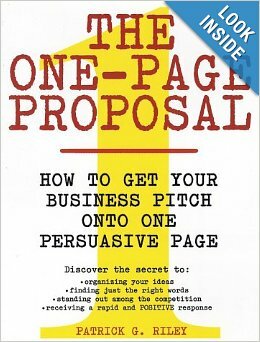 In a study of 2,000 participants, 60% of those who submitted 1-page proposals landed an interview, according to the co-founder of the site. According to their philosophy, job seekers shouldn’t wait until a position opens at a company. They should pitch themselves and their skills in hopes of landing an interview regardless of whether a position is open or not. If the company likes you enough, they may make a position. What do you think of the one-page job proposal? Would you market yourself to a company who may not be in need of you — or may not know they are in need of someone like you? P.S. Read our tips about how to manage your online reputation. How has this position evolved over the past few years? If the position began as an entry level position, but now has added responsibility perhaps there is even more room to grow. That’s always a good thing. What is the first project I’ll be tackling? Find out what your first priority is in this position — does it sound in line with the job description and your interests? Great. How would you describe a typical workweek in this position? This might be a chance to discover how closely you’ll be interacting with coworkers and how often you’ll be pulled into meetings. What do you love most about working here? It’s time to get a little personal and ask your interviewee what he or she enjoys about this company and this team. A generic answer might be a warning sign. Try to dig deeper. How often will I interact with my manager? Try to get a feel for whether you’ll have a boss that’s available at all times for questions or a boss who’s too busy in meetings 90 percent of the time. Can I expand on any of my qualifications for you? If the interviewer is hesitant about hiring you, it’s best to address those issues now — when you actually have a say in the subject. 1. Sentence 1: How do you know this person? 2. Sentence 2: Describe their top trait. 3. Sentence 3: Illustrate your point. 4. Sentence 4: Give her a personality. 5. Sentence 5: State the obvious. Presenting a concept to your team. Arguing an important point during a meeting. Negotiating a raise with your boss. Participating in a group interview for a potential new candidate. Assigning tasks to a freelancer or intern. Expressing your accomplishments at your year-end review. Keep your goal — or the final point of your speech — in mind throughout your conversation. Be aware of your body language and posture. Smile! Your facial expressions say as much as your words. Don’t forget about eye contact. Ever had one of those coulda, woulda, shoulda feelings? They’re not fun. 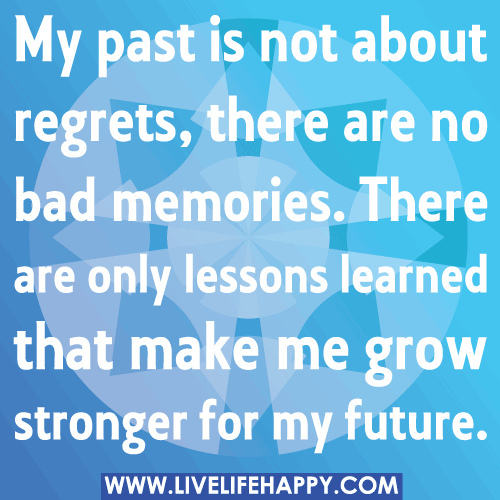 But the one good thing that can come from regret is sharing your story with others — so THEY can learn from your mistakes. We’ve gathered up a few common lessons that many professionals wish they’d learned at an earlier age. Take their wisdom, learn from it, and know that you’re one step ahead with your newfound knowledge. 1. Don’t settle for the first job offer that’s thrown on the table. It’s hard to say no to a paycheck, but it’s also important to consider all aspects of a job offer from the salary to the commute time to the job responsibilities. Will this position make you happy? Notice the emphasis on the happy — not on the salary. 2. It’s hard to be successful doing something you don’t love. Looking for fame and fortune but despise showing up to work each day? Well you better find a new path. Riches, happiness, and success comes much more easily to those who are passionate and inspired. 3. Learn who you can trust — and who you can’t. No one can get by without a little help from their friends — er, coworkers. But some will be more reliable and efficient than others. Learn who you can count on and who is contributing toward your successes. People like to be around a happy person. Happy people have lots of friends. And in a business environment, that will always be an advantage. Start building friendships now. It’s never too late. Even your dream job could eventually become boring. It’s important to always be challenged, always be learning, and always be a little bit scared by the responsibility that’s been placed on your shoulders. What wisdom would you add?